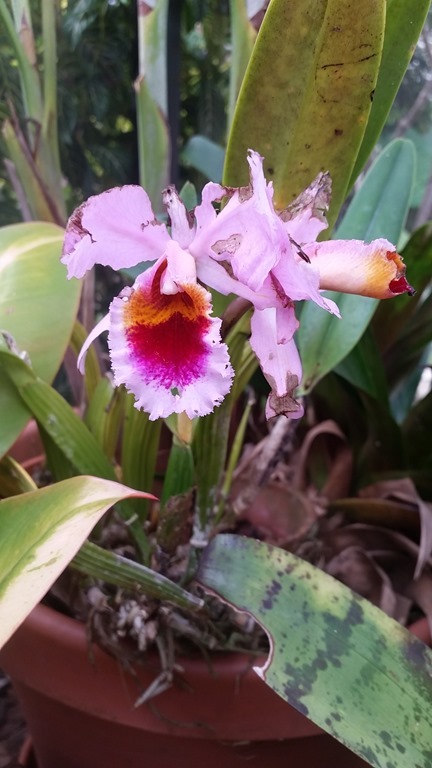 This entry was posted in family, orchids and tagged family, orchids. Bookmark the permalink. What a WONDERFUL gift! A huge smile is on my face just for you. Thank you,Lorraine.And a very Merry Christmas to you! Absolutely enjoyable! Merry Christmas and that is a beautiful present from your Dad! Cheri-I like to think it is a present from him.Merry Christmas to you and your family! Such a beautiful tribute to your family and especially your Dad. Lucky for you to still have a living plant that meant so much to him. Merry Christmas! Hello my friend. I was looking through my blog roll…how are you doing? Good to see you are still gardening. I sure do miss mine. But then, I miss a lot of things from my Old Life.